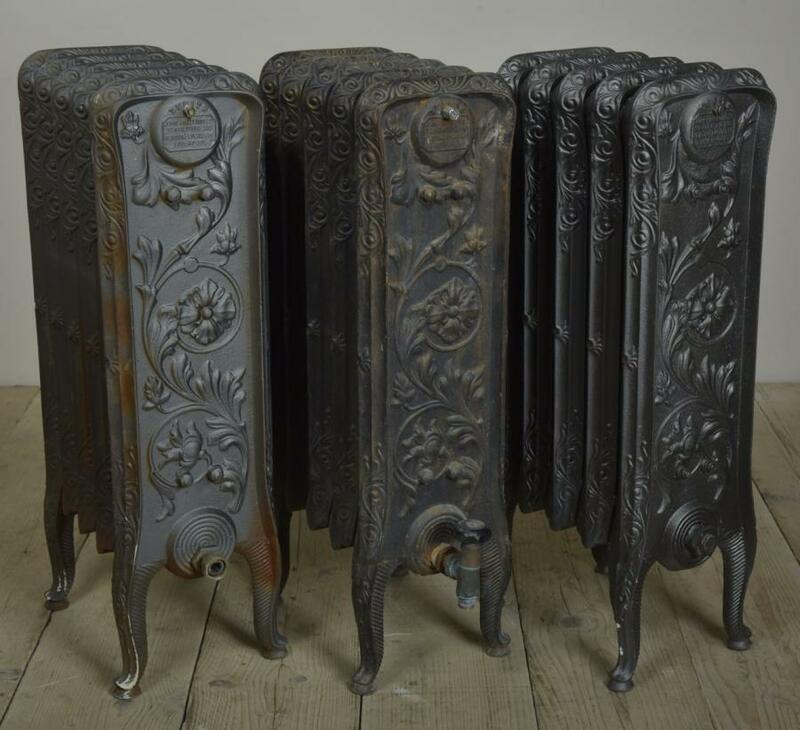 A trio of the best antique cast iron radiators with deeply moulded floral decoration and fluting to the edges of the columns and cabriole legs.Very rare.Most graceful radiators. Can be sold together or as a single and a pair. 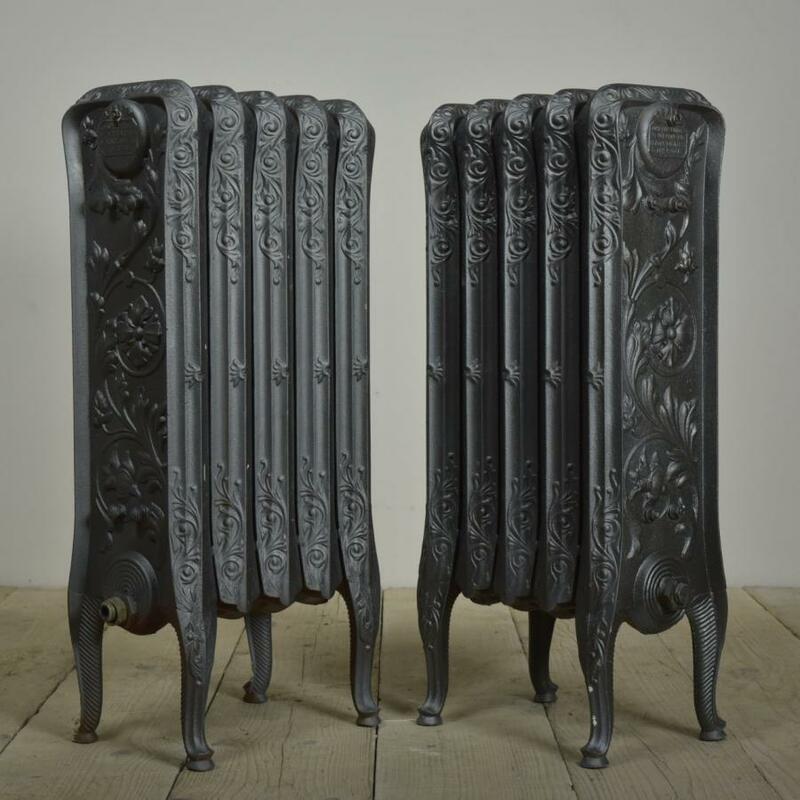 One of the radiators has a bypassed end section but works fine. 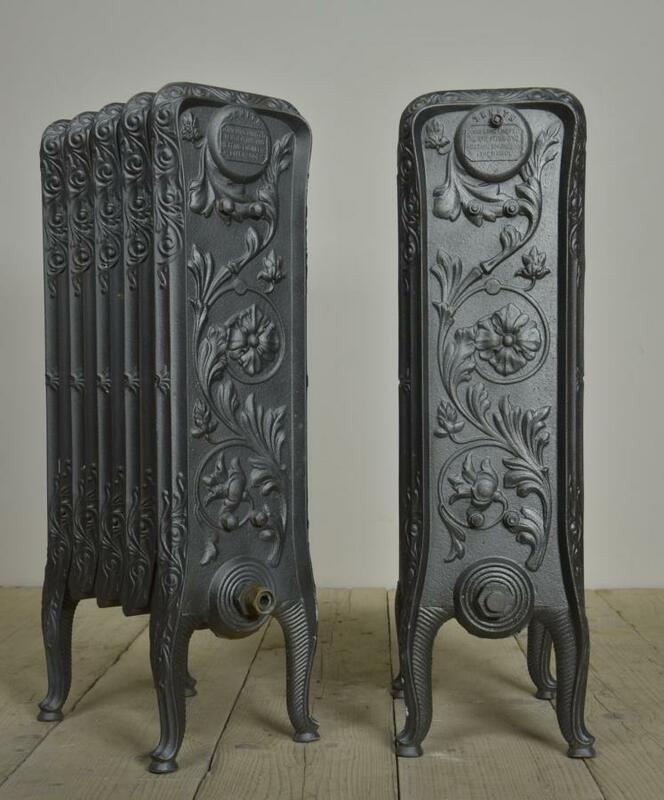 All three radiators have been pressure tested since these photos and have the correct half inch bushes (in and outlet fittings)so they can be plumbed in without further modifying. 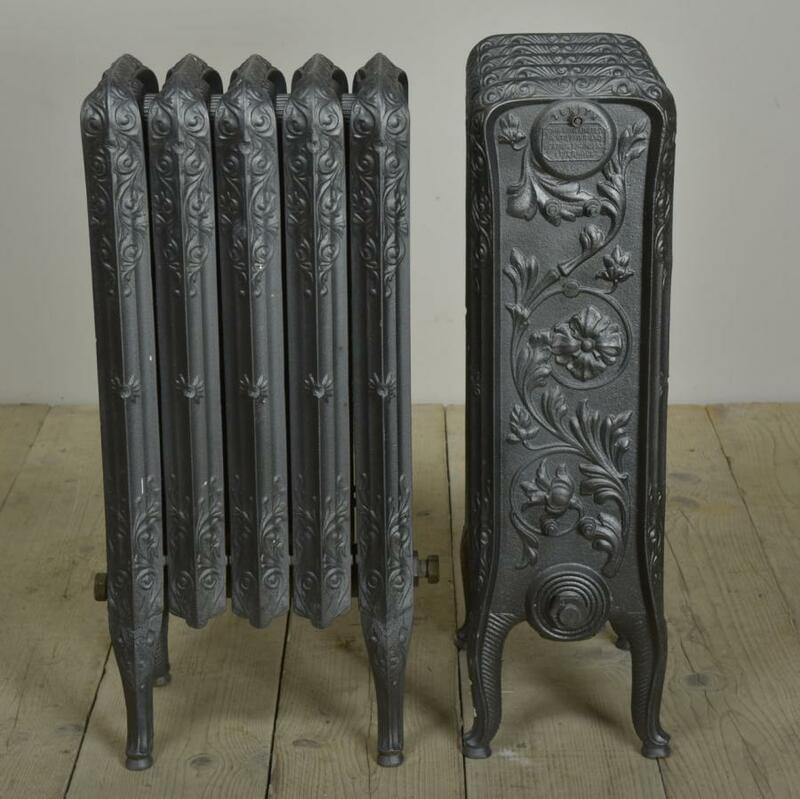 Dimensions in inches/cms; 30.75"/78cms tall 13.5"/34cms wide 9.5"/24cms max depth at feet. (8.5"/21.5cms deep- body) For more / higher res images please see my blog which can be accessed through the news section of this (haes) website.